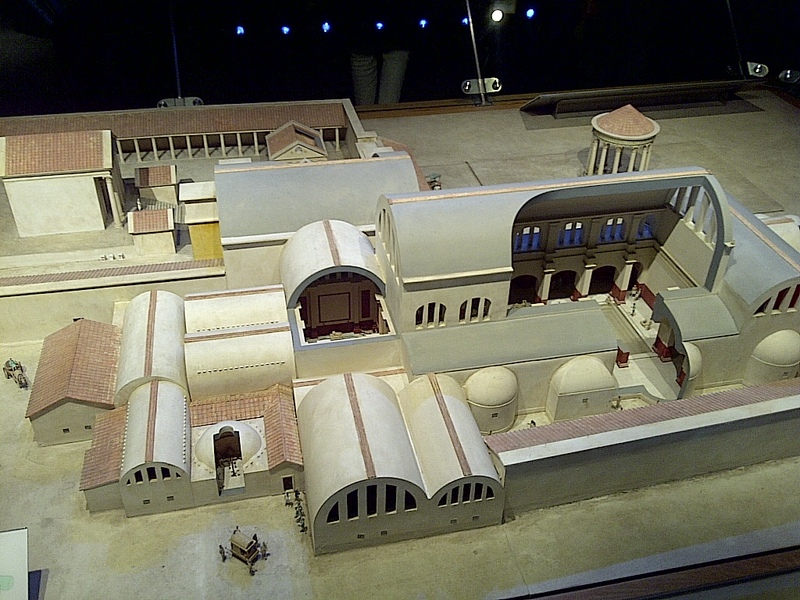 A scale model of the immense complex of bathing facilities in Roman Bath, 2000 years ago. Bath, England. June 16, 2013. On the ENGLAND, SCOTLAND & WALES tour.